Fan response has been very strong to the new Star Wars movie, positive and negative. At some point, I will put an entry on my own blog about the narrative and aesthetic complaints. But as I skimmed through some of the fan-rants-turned-think-pieces, I noticed patterns of complaints that made me think of American churches. And I grew concerned for this reason: if American church members are applying The Last Jedi complaint mentality to our churches (which I have reason to believe they are), then we’re in big trouble. Importantly, I’m not talking about theological parallels. There is no valid theological parallel between any of the Force mythology and true Christianity. God Almighty is not seeking a balance between light and dark. And truth does not depend on your point of view. The “finding Jesus in Star Wars” heresies are just like any other “finding Jesus in . . .” efforts; they all make pastor’s jobs more difficult. But that’s not the primary concern I have. There are obvious social and cultural parallels in the complaints against The Last Jedi and our Christian condition. For example, a certain element of the complaints seems as simple as “I don’t like change.” The Star Wars franchise is moving in a new direction, and new is always worse than old. And yes, that sounds an awful lot like the generational and cultural “worship war” that still happens in churches all over our country. But that complaint is a known quantity; what I’m seeing surrounding The Last Jedi is something deeper. And I’m not talking about the backlash to the new diversity in the Star Wars universe. Yes, the number of people complaining about the emphasis on women and people of color in the cast is concerning, and that points to a very important discussion about the ongoing presence of racism and sexism in our country. And yes, that cannot help but make me think about the homogeny within many American churches. But that discussion is at least happening (no matter how slowly). My concern is something different. You see, The Last Jedi is not just about “forgetting the past” (“kill it if you have to”) or turning the page to a new chapter in an ongoing saga. It is about viewing the past for what it is. It is about taking a spotlight to the Jedi order—a group that my generation (I was born in 1975) viewed as heroes, selfless pursuers of the greater good—and revealing them for the seriously flawed collective that they were. It is about taking a spotlight to the Force—something that my generation tried to paint in broad strokes as the Holy Spirit—and revealing it to be the ambiguous and ambivalent thing that it was. People don’t like being told to confront the realities of their idealized version of the past. And that’s where the fan backlash concerns me the most. Heresy and personal preference and discrimination have always been things that pastors and church leaders have had to be aware of. An unwillingness to confront the past is, I think, a big part of the reason we still have racism and sexism today. But the nature of the response to this new view of the Jedi points to a problem that pastors may not know how to handle. Think about this. The Jedi were “guardians of peace and justice in the galaxy” for a thousand generations. But when we watch the prequels, what are they? A bureaucratic roundtable long on meetings and short on action, ignoring problems and justifying their neutrality. A hierarchy based on rules for promotion that they define. A self-demythologizing thinktank that has reduced their essence to some bizarre scientific explanation (midi-chlorians?). A thick-walled club with rules for admission arbitrarily rooted in age and some sort of blood count. A should-be most powerful organization in the galaxy whose self-aggrandizing hubris led to their worst enemy operating within their very midst. To be straightforward, does any of that sound like elements of American Christianity? Jesus condemned the Pharisees for imposing their own interpretations of Judaism on everyone. He condemned the Sadducees for rejecting the miraculous and spiritual. He condemned the moneychangers for capitalizing on the Father. He chastised His own followers for inaction and indifference. So this is my twofold concern with the reaction to The Last Jedi. The fans who are rejecting this new (and harsh) view of the Jedi order are either preferring the woefully flawed, bureaucratic version of the Jedi from the prequels, or they are willfully ignoring that past for their own idealized mythology. I have seen both of those trends in some American church leaders (not coincidentally by the same demographic as the complainers of The Last Jedi): a preference for sterilized roundtable think-action divested of our true source of power and urgency, and an unwillingness to look at our church past for what it was rather than what we wished it had been. Both courses leave the future in the hands of others. And what does it say when Americans approach their churches with the same nostalgia goggles as a movie franchise? Are they treating Christianity just as they would entertainment—as a diversion? God help our churches if this parallel is accurate. Christians have no reason to avoid our flawed past or to dwell in it. We abide in the power that can call galaxies into existence; we live with the most urgent commission ever given to humans. And that is so much more compelling than some movie. 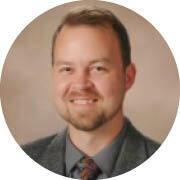 Matt Ward is the Associate Pastor at First Baptist Church of Thompson, GA. He holds a PhD in Baptist and Free Church Studies from Southwestern Baptist Theological Seminary and is a member of the St. John Fellowship of the Center For Pastor Theologians. You can read more from Matt on his personal blog.